Unreal was always hovering around during the late 90s, just barely out of sight. 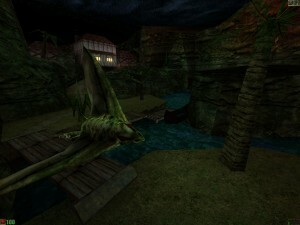 Magazines had declared it the “Quake Killer”, but every time you thought the game might be close, it disappeared from the radar instead. The anticipation kept building. And to me, as a level designer, Unreal’s editor looked pretty damn delicious. While I was creating Quake maps in simple wireframe viewports, UnrealEd screenshots promised editing views that were fully textured and lit(!). The presumed Quake Killer wasn’t released until after Quake 2. But when Unreal arrived, it made a big splash. 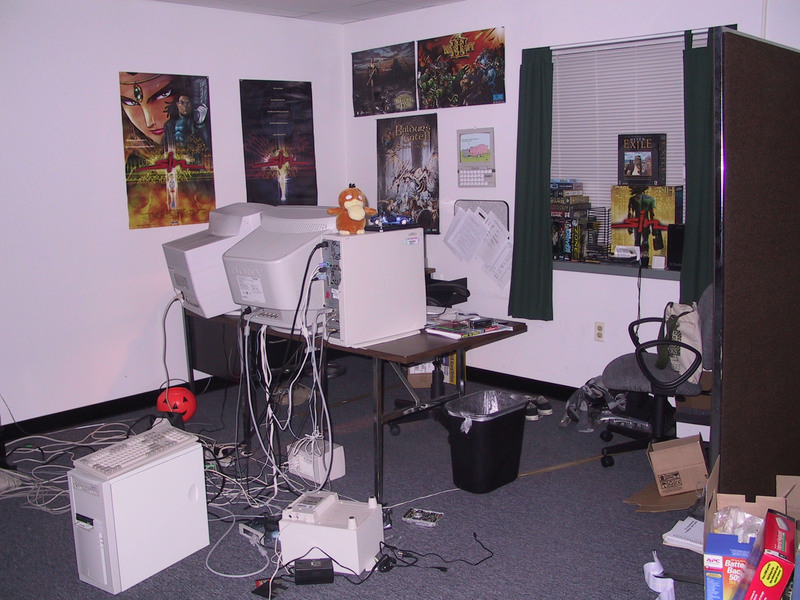 I remember looking at the game in the Ritual offices, and everybody was quite impressed. Huge outdoor environments, beautiful graphics with many effects that had never been seen. And an editor that did indeed deliver everything the screenshots had promised. If you could get it to run, that is – the initial VBasic version was notoriously finicky. And if you could wrap your head around its editing paradigm. My first contact with the engine had been during my initial, short stint on The Wheel of Time. As chronicled on the WoT page, I couldn’t get into UnrealEd at all and gladly went back to Quake editing. But after Sin was finished and I’d made the decision to go work for Legend Entertainment, there was no way back. 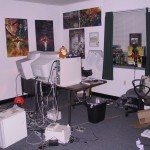 I was going to work on Unreal 2, and I was going to learn UnrealEd! I remember my years at Legend fondly for various reasons. The company had an “interlectual” approach to making first person shooters. Of course we tried to make good shooting entertainment, but the principals were also putting emphasis on infusing our games with story and narrative elements. Not surprising, given Legend’s history as an adventure game company. More importantly, we had a great core team that became my extended family for a while. We didn’t quite live in the office – but it was usually our base of operations for dinner and weekend excursions. We had a bigscreen TV in a time when nobody had a bigscreen TV yet, and we played endless hours of Soul Calibur on it. One year, with two of the Epic programmers in town, we had our Thanksgiving dinner at the office. The turkey was so big that we didn’t get to eat until 11:45pm, so most time was killed watching Star Trek TNG on DVD. I had signed on to work on Unreal 2, but would get to contribute to two additional projects before we went into production on that game. My work on The Wheel of Time has a dedicated page. Before I helped out on WoT, I did some work on the official Unreal Mission Pack “Return To NaPali”, which was a good way to get acquainted with the engine. We were supposed to churn out the the level pack pretty quickly, using a lot of the unfinished content that Epic had created during Unreal’s development. And we added typical mission pack fare on top of that: a few new weapons, a few enemies, and of course new levels. Mike Verdu, the project lead, wanted to add some narrative elements to the game to tie everything together, as well, which spawned log entries telling the player’s story as he goes back to the planet to locate a crashed Marine ship. hex in Jack Chalker’s Well of Souls books. As I measure my mission pack maps by those pillars, the maps succeed on some levels and fail on others. The valley in which the crashed ship (the “Prometheus”) rests was indeed huge. I tried to infuse the medieval Nali village with a creepy “Skaarj-terrorizing-Nali” atmosphere. And I built arenas where the Skaarj could show off their navigation and combat skills. 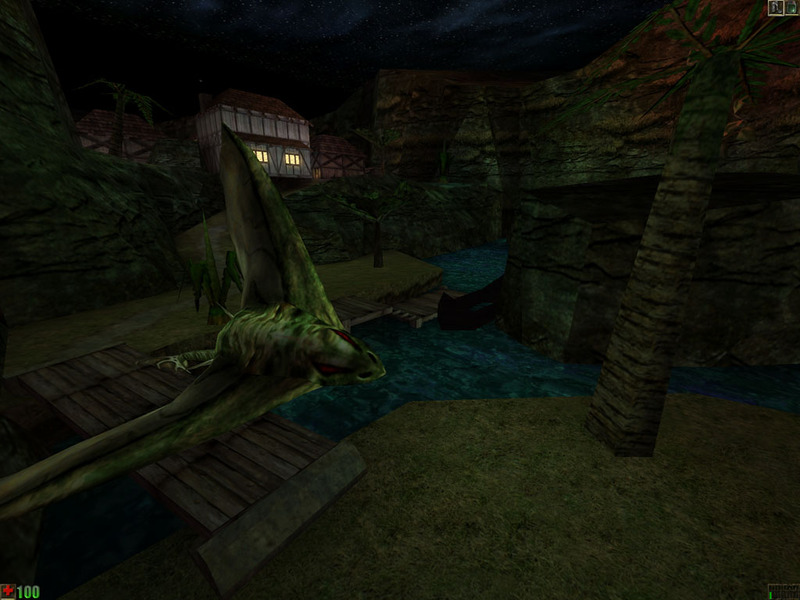 But my maps fall short on the epic feeling that many of the original Unreal maps had. A lot of that had to do with my sensibilities at the time, I liked to keep things as “realistic” as possible (given the context of the game), and that lead to a lot of human-sized spaces. I didn’t particularly like “Bluff Eversmoking” at the time. It felt too unbelievable to me, too far out there. But my tastes have changed a bit and I can certainly appreciate the map for what it was now. So… if I could go back and do it all over again I’d try to go for bigger scope and less enclosed spaces. But I’m still quite happy with the work I did for the Unreal Mission Pack. It was a good introduction to the engine, it had some fun gameplay moments – and a lot of people played the pack! We were quite surprised when the initial sales numbers for Return To NaPali came in. In fact, the UPak got me the first bonus check that I ever received in the industry. And that’s a cool moment to remember.